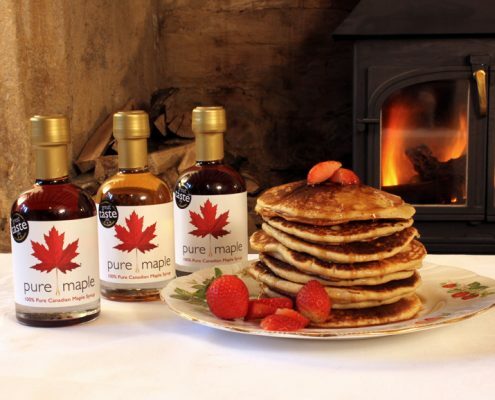 Pancake Recipe – Get Ready for Pancake Day ! These fluffy wonder pancakes ideal for any day . Start by melting the butter and allowing it time to cool while preparing the rest of the ingredients. Weigh out all the dry ingredients and place them in a large bowl. Separate the egg yolks from the whites and whisk the egg whites until soft peaks have formed. Beat the milk, egg yolks and vanilla then mix them well into the dry ingredients. Add the cooled butter and mix well. Gently fold in the egg whites until combined. Add a little sunflower oil or cooking spray to a griddle or pan and place on a medium heat. When the griddle or pan is hot, carefully spoon some pancake mixture onto it. The pancake is ready to flip over when the upper side starts to bubble. Cook the other side for about a minute. 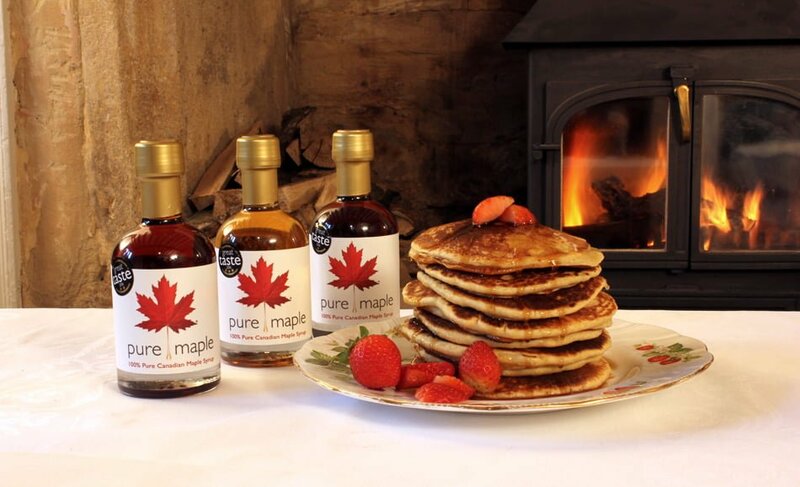 Finally serve with the delicious Grade A Amber Maple Syrup. Pure Maple Recipe Ideas Canada Day 2017 was a day to remember!